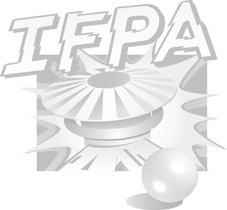 Announcing the ICE BOX's first ever IFPA-sanctioned pinball tournament! Winner will be crowned the 2018 ICE KING or ICE QUEEN! Match-play style pinball tournament, WPPR points, cash prizes, raffle prizes, and food! Fun side tournaments! Did I mention FOOD? Cash prize for top woman competitor (whether she wins the whole thing or not!)! 2:00 doors, 3:00 start time! TO REGISTER: post your intent to register on this event page or send a message to the ICE BOX. For non-Facebook users: email hannah@gc-games.com. I (Hannah) will keep a running registration list on this page.